Did we learn nothing from I, Robot? 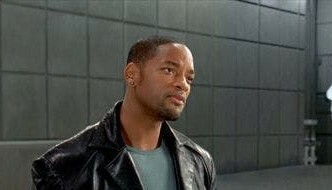 Will Smith in I, Robot. — File Photo Viet Nam News By Paul Kennedy So the World Cup is already one week old and we’ve seen shocks, surprises and plenty of skills. Paul Kennedy. — VNS Photo Việt Thanh Brazil were held to a draw by Switzerland. Germany (yes, Germany) lost their opening game versus Mexico and Lionel Messi proved that he is human after all, missing a penalty against Iceland. And England also got off to a flyer thanks to an injury time winner from Harry Kane. But the thing that has really got people talking after week one is VAR - the dreaded Video Assistant Referee. For those of you who have been living in a cave for the past few years, this is the new system that allows match officials to replay constroversial moments to make sure they have made the right decision. Some say the system is the future and it will weed out inaccuracies and ensure decision making perfect. I don’t agree. Did we learn nothing from I, Robot? … [Read more...] about Did we learn nothing from I, Robot? Copyright © 2019 Viet Maz. Power by Wordpress.